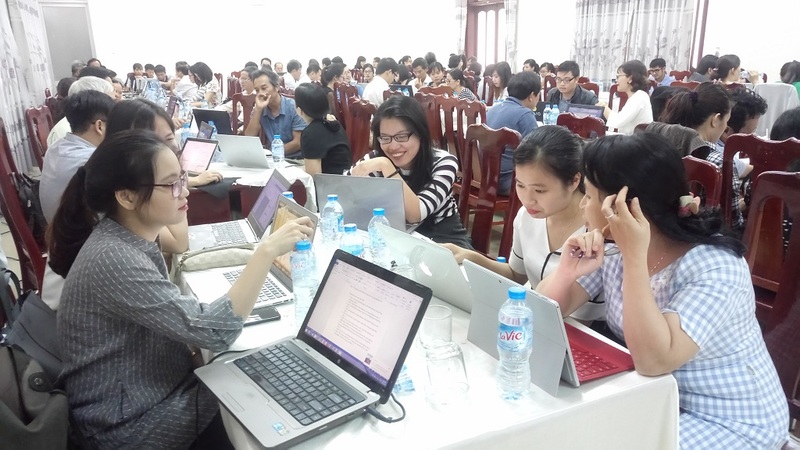 On November 11th, 2017, University of Economics – the University of Danang (UE-UD) organized a training course on " Module assessment and test items banking establishment". This was a training session designed to serve for the AUN accreditation mission of UE. The training was conducted under the direction of Assoc. Prof. Dinh Thanh Viet – Director of Quality Assurance Department, UD. The training program focused on two major objectives: the analysis of the "constructive alignment" and the evaluation methods; as well as the establishment of teaching methodology, educational quality testing and assessment. At the training session, Assoc. 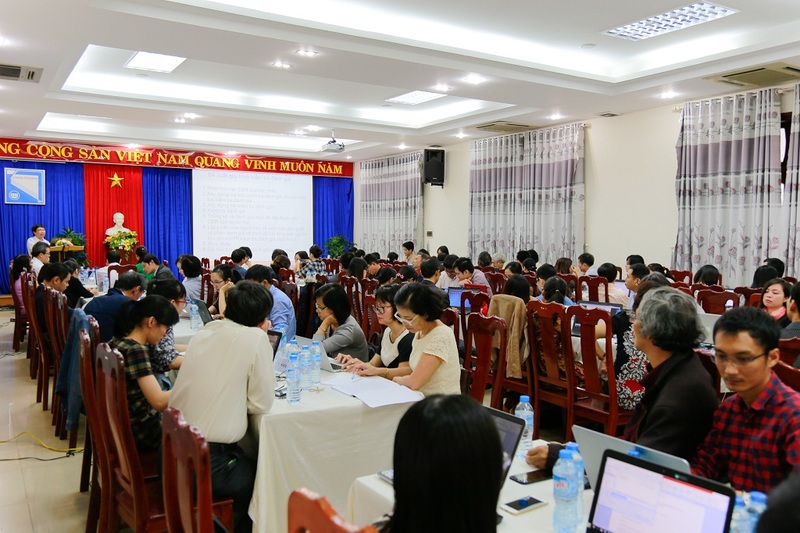 Prof. Nguyen Manh Toan – Rector of UE-UD emphasized the importance of the successful accreditation process according to AUN standard in the upcoming time for 5 majors. The training took a great significance role in enhancing lecturers’ skills in module assessment and test items banking establishment. The training course took place in two sessions. In the first session, Assoc. 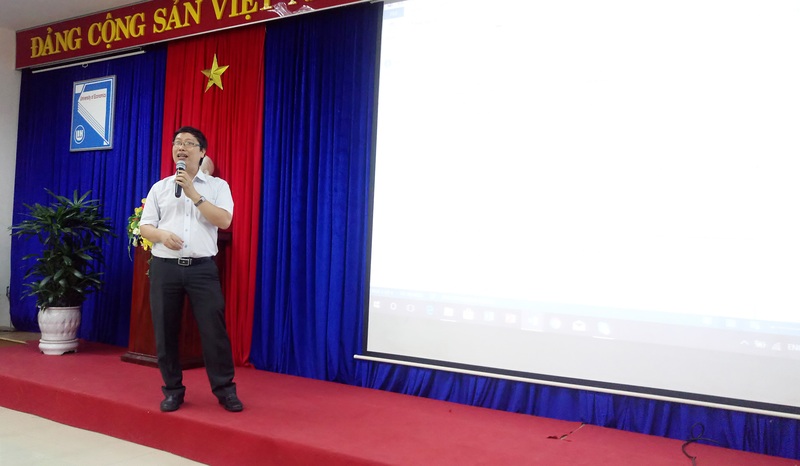 Prof. Dinh Thanh Viet presented the criteria for module assessment, the methods for setting up the evaluation standards, the methods for establishing the outcome standards and the course evaluation. During the course, each group conducted the module assessment for a subject. The Marketing Faculty represented UE’s lecturers to present the module assessment for a specialized subject. The presentation focused on designing the appropriate outcome standards, arranging the outcome standards according to the Bloom classification, and designing tests and the operation at class in accordance with the outcome standards. At the end of the training, Assoc. Prof. Dinh Thanh Viet affirmed again the importance of mastering the accreditation and evaluation methodology according to outcome standards. Assoc. Prof. Dinh Thanh Viet also gave special thanks to UE-UD for inviting him to teach at the training session and wished the AUN accreditation mission of UE-UD a great success.